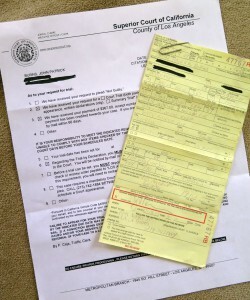 What are the costs for tickets and traffic violations in California? With the varying costs in California for traffic violations it is hard to determine an actual set fee due to different counties additional fees. It can be very confusing because a ticket that cost you under $40 may eventually end up costing you well over $150. To understand the way the fees work you should contact the county where you actually received the ticket. How much are the additional fees and surcharges for tickets and traffic violations in California? There are options of what you can do if you receive a ticket or fine. Many people will choose to plead guilty and others will choose to go to driving school to keep their record clean. Whatever you decide you should consider all of your options. What happens if I choose to plead guilty or pay my traffic ticket? 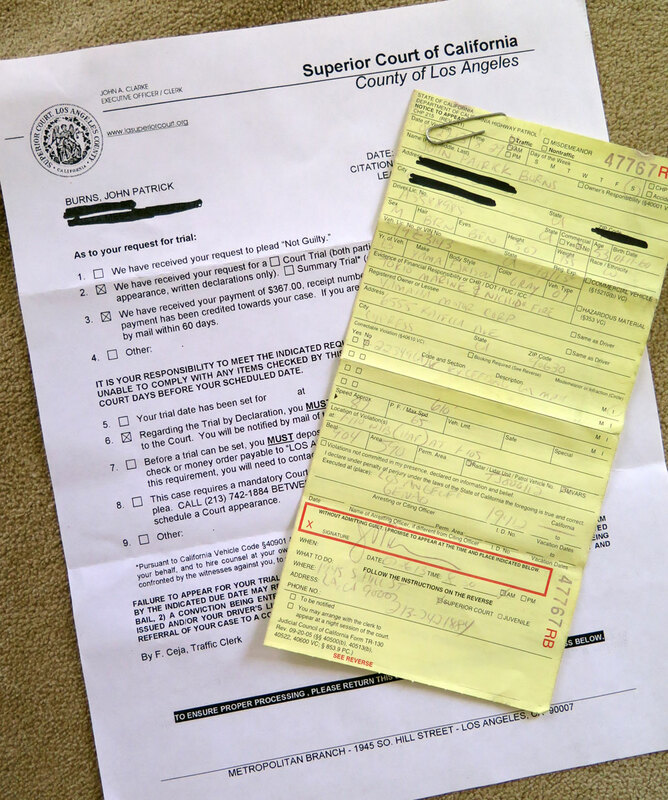 What happens if I choose to plead not guilty and fight the ticket? What about my auto insurance rates or accident forgiveness? After you receive a ticket you should check with your insurance company because there are some companies now that offer accident forgiveness for the first offense or accident. However, points may be added to your driving record and this will result in your insurance premiums increasing. What is the difference between penalties and tickets? Unlike fines penalties are usually the same no matter where in the state you are. This simply means that no matter what county you are in the penalty will affect you the same. This can include suspension or revoking of your license or points being added to your record. However, if the driver only has a permit vs a Class A CDL they will be penalized differently. Usually a driver with a CDL will pay a much higher fee for tickets etc.Points on RecordIf you are convicted of a traffic violation the amount of points that are added to your record depend on the severity of the violation. 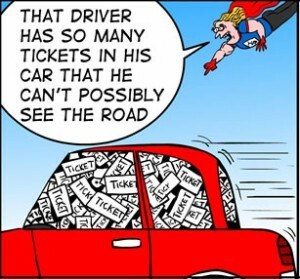 Luckily, it is possible to have the points waived if you complete traffic or driving school. Two points are usually given for DUI’s, driving with a suspended license or hit and runs. What are the differences in a Suspended, Revoked or a Canceled License? Suspended License is only a temporary loss of your license. Canceled License means the license has been terminated. However, you can immediately apply for a new license. Revoked License means that a person can’t drive and has had their privileges of driving terminated. The license will be available again after the time it was revoked for. What about commercial driver license (CDL) drivers? For those with CDLs you must notify your employer even if you receive a ticket in your own car. If you obtain it out of state there is an online form (Form DL 535) that you must send to your employer.The points and violations received by CLD drivers will stay on your record longer and are typically 1-1/2 times the normal amount of points that are given to non CDL drivers. Blood alcohol level higher than 0.04%.